SACRAMENTO, CALIFORNIA (December 23, 2016) - The first half of the 2017 Pacific Challenge Series presented by PenneyLawyers.com schedule has been announced, with dates at Madera Speedway and Stockton 99 Speedway. The five races make up half of the expected ten points races for the Super Late Model touring series. Up next for the PCS will be its 2016 championship awards banquet on January 21st. It will be held at Cattlemen's Restaurant on Taylor Rd in Roseville. Tickets are just $25 and can be purchased by calling Penney Racing Supply at 916-338-3434. 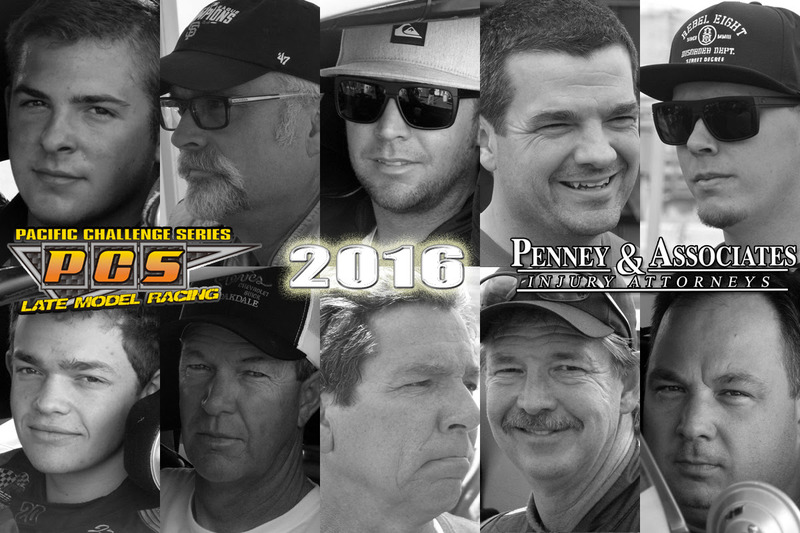 Bakersfield, CA –The SPEARS (SRL) Southwest Tour Series is proud to announce its schedule of events for 2017. The ten-race schedule will kick off in a big way, with the $30,000 to win Winter Showdown at Kern County Raceway on February 11th. The Winter Showdown will be a non-points event for the SPEARS Southwest Tour Series and the Lucas Oil Modifieds. The 2017 SPEARS Southwest Tour Series point’s championship will begin on March 25th at Irwindale Speedway and end at The Bullring at Las Vegas Motor Speedway on November 18th. 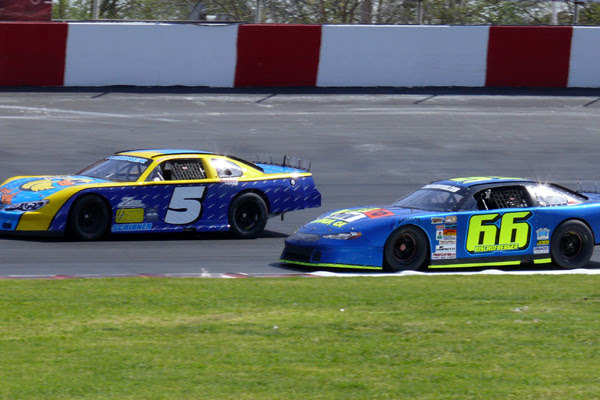 The opening round of the 2017 championship will be a “double-header”, featuring the SPEARS Southwest Tour and the NASCAR K&N Series competing together on the same night on March 25th at Irwindale. The SPEARS Southwest Tour Series will then stop at Kern County Raceway on April 22nd, for the first of two points paying events hosted by the west Bakersfield half-mile oval. The Bullring at Las Vegas Motor Speedway will host the SPEARS Southwest Tour Series twice in 2017, on May 20th and November 18th; both events will feature the Lucas Oil Modified Series. After a break in the schedule, the series will then make its only stop of 2017 at Madera Speedway on July 15th. August 19th will mark the second appearance of the season at Irwindale Speedway, when the series will again be paired up with the Lucas Oil Modifieds. On September 2nd, the SPEARS Southwest Tour Series will team up with the Northwest Super Late Model Series for a $10,000 to win co-sanctioned event at Rocky Mountain Raceways, just outside of Salt Lake City, Utah. The series will then travel to Tucson Speedway once again to compete on the historical 1/3-mile oval on September 30th. The series will return to Kern County Raceway on October 28th. The SPEARS Southwest Tour Series will finish up its championship season once again with the “Championship Finale” at the Bullring on November 18th. For 2017, the “Winner’s Bonus” program will continue, which insures that each SPEARS Southwest Tour Series event will pay at least $5,000 to win. And, for the sixth consecutive year, the “SPEARS Frequent Flyer Program” will award teams a minimum of $1,000 for starting a SPEARS Southwest Tour Series main event after they have competed in three consecutive series races. Celebrating its seventeenth season, the SPEARS Southwest Tour Series will begin the 2017 season with the Winter Showdown on February 11th, and close out its championship at the Bullring at Las Vegas Motor Speedway on November 18th. Celebrating its seventeenth season in 2017, the SPEARS Southwest Tour Series is a regional stock car series competing on paved ovals in the southwestern portion of the U.S. http://www.srlsouthwesttour.com. “The SPEARS Southwest Tour Series…Where the Champions Race”. SACRAMENTO, CALIFORNIA (Deccember 21st, 2016) - The 2016 Pacific Challenge Series presented by PenneyLawyers.com banquet is January 21st at Cattlemen's Restaurant on Taylor Rd in Roseville, CA. Doors open at 5 p.m. with dinner at 6 p.m. and awards presentations to follow. Tickets are just $25 and include a menu option of steak, ribs, chicken, or ravioli plus 1 free adult beverage. For ticket ordering, please contact Penney Racing Supply at 916-338-3434. On Christmas morning 256 children, residing in Lake Havasu City-Arizona, will walk into their living rooms and discover the presence of a brand new bicycle. This holiday surprise was arranged by the management and staff from the Havasu 95 Speedway who, once again, held their annual bike drive during their winter racing season. The speedway's annual bike fund raiser actually dates back several years when speedway Promoter Bill Rozhon decided he wanted to do something special for children of needy families, in a community that he dearly loves, to insure that they had the merry Christmas that every child deserves. Coordinating his idea with the Lake Havasu City Marine Corp Detachment #757's Toys For Tots program, the Havasu 95 Speedway's bicycle campaign became an instant success. Since it's original inception, the speedway's annual Christmas campaign has raised over $50,000 that has led to the purchase and distribution of over 1,000 bikes. As in the case of previous years, the 2016 bicycle campaign got off to a very fast start with the speedway's legion of loyal fans buying fifty-fifty tickets which gave the campaign a strong foundation. They were backed by contributions from local businesses, individual contributions from fans and there were reports that said some of the drivers donated their race winnings. With all of that love and support, the 2016 campaign collected a total of $8,276.60 which covered the cost of the 256 bicycles. In a prepared statement, Speedway Operations Manager Shelly Keirns said "racers and race fans, this year's annual Toys For Tots bicycle drive has come to an end and we couldn't be more thankful to all of you and your extreme generosity to this cause. Our Promoter, Bill Rozhon, firmly believes every child should wake up to a bike on Christmas morning, and that has been our driving force all of these years. The amount of money raised this year was $8,278.60 which we used to purchase 256 bicycles for children of all sizes here in Lake Havasu City." 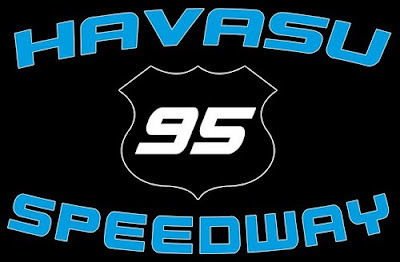 The Havasu 95 Speedway will be taking a well deserved break for the holidays and will return to racing action, to start the second half of their winter racing series, on January 7th. In typical fashion, they will be starting the 2017 portion of their schedule on a strong note by featuring the Late Model division who will be treating the fans to twin, 50 lap, main events. Adding to the racing excitement will be the Office Cocktail Lounge Bandoleros, the Sam Nichols Electric Factory Stocks and a waterless boat race, a special event that this speedway excels at. Because of chilly night temperatures, this event will be a special day race. The spectator gates will open at 12pm with the green flag falling on all of this racing fun at 2pm. For more information regarding the winter racing schedule dial up their website, at www.havasu95speedway.com, or visit their "Facebook" page. 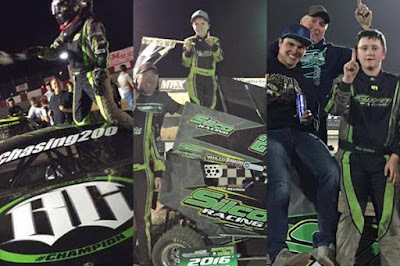 LEMOORE, CALIFORNIA (December 19, 2016) – 11 year-old Ben Silliker's 12 win season in three different types of race cars highlighted a busy 2016 for Team Silco Racing. The Alberta, Canada team, now located in Lemoore, CA, competed in more than 110 main events on both dirt and asphalt as Silliker and his eight year-old brother Alex made their mark. A trio of historic accomplishments - youngest A Main starter in Kyle Larson Showcase history, youngest Pavement Late Model winner in California history, and youngest Non-Wing Micro feature winner in the nation - gave Team Silco one of its best career seasons. The historic season got started with the brothers competing in the Chowchilla Barn Burner races, leading to Ben's first win of the year on February 7th in the Non-Wing 500 Outlaw Kart. On March 12, Ben became the youngest participant in the pavement Jr. Late Model Series in Madera California, televised on MAVTV. He stormed to a second place finish in the debut on March 12th. He followed that effort up with a fourth place finish in an Outlaw Kart race at Delta Speedway against a 30 car field. His second win came just a week later in the Jr. Late Models making him the youngest winner in series history. He did not have to wait long for win number three, scoring that in a Restricted Micro Sprint at Dixon Speedway in April. He led much of the Jr. Late Model race at the end of April as well before a late race incident cost him the victory. Ben Silliker won again on May 21 at Lemoore Raceway in a Restricted Micro. In June, he moved up to the full 600cc Non Wing Micros and finished fifth at Dixon. He podiumed again with the Jr. Late Model and won a Restricted main to end the month of June at Delta Speedway for his fifth different track to win at already at mid-season. Win six came in a Restricted at Dixon Speedway in July before Team Silco began a strong late season surge. August was the start of the surge when Alex Silliker got his first two wins of the year while Ben had a win and a third in his Jr. Late Model. September saw Team Silco enter the Kyle Larson Outlaw Kart Showcase at Cycleland Speedway in Oroville, CA. The largest and most prestigious Outlaw Kart event saw Silliker enter the full open 500cc division against over 130 entries from around the world. Silliker not only made the feature to be the youngest starter ever but he also qualified for the dash race as well. Ben ran in the top five before having a right rear go flat finishing with a 12th place in perhaps his biggest accomplishment of the season. Riding a wave of momentum, Silliker earned his second Jr. Late Model win in a very hard fought victory at the end of September on MAVTV. He proudly carried the Bryan Clauson Logo on the hood, "Parking It" for BC. Alex Silliker scored a pair of second place finishes at Dixon Speedway in October in the Jr. Sprints along with a second place in Box Stock at Chowchilla Barn Burner. Ben won his first Winged 500cc Open Outlaw Kart win against adult racers by taking the Barn Burner win on October 15th. He finished second on October 30th then won again at Hills Ferry Raceway in Newman, CA on November 5th for win number 10. Alex also won at Hills Ferry making it his 3rd win of the season. Ben added one more major accomplishment by winning the Non Wing Micro feature during Turkey Night at Plaza Park in Visalia, CA on November 19th as the youngest Non Wing feature winner in the nation. Win 12 came in the Barn Burner at the end of November to give him the points lead in that series. All told Ben Silliker made 74 starts with 12 victories and 42 top-five finishes. His brother Alex had 37 starts with three wins and 16 top-fives. Team Silco will take a short break before returning to Outlaw Kart action on January 7th at Delta Speedway in Stockton, CA. The "Delta Kart Nationals" will be televised on Fast Four Media as well with coverage available at www.FastFourMedia.com. Ben Silliker's 2016 season of Jr. Late Model races can be viewed on demand on the LucasOilTV App or on MAVTV. Check your local listings.